In the wake of Punjab CM’s statement that Kartarpur Corridor was a conspiracy hatched by Pakistan Army and ISI against India, he asked the CM as to how he would justify keeping Navjot Singh Sidhu in his cabinet. A day after Punjab Chief Minister Amarinder Singh dubbed the opening of the Kartarpur Corridor as a bigger conspiracy hatched by the Pak Army, the Bharatiya Janata Party (BJP) on Monday demanded the dismissal of state cabinet minister Navjot Singh Sidhu for advocating the cause of conspiracy hatched by Pak Army and the ISI. In a press statement, BJP’s national secretary Tarun Chugh said CM Amarinder should throw away Sidhu out of his cabinet. Chugh said how a CM after having such sensitive information could keep a minister who was advocating the cause of conspiracy hatched by Pak Army and the ISI. He said Amarinder’s revelation that Pak Army Chief General Bajwa had informed Sidhu about Pakistan government’s plan to open Kartarpur Corridor even before Imran Khan was sworn as Prime Minister has made the issue all the more serious. “This seems a plan of the Pak Army and the ISI and not the government that was yet to be sworn in,” he said. The BJP leader said it was highly intriguing that a CM who comes forward to make a highly sensitive and information based statement regarding the game-plan of Pakistan chooses to keep a minister who was working for the execution of the plan. “It is for the first time that an elected representative and a minister in a state government were doing so after taking the oath of loyalty to the constitution of the country,” he said. Chugh said at the instance of Congress president Rahul Gandhi, Sidhu was showering praises on the leadership and Army Chief of an enemy country responsible for ordering the killings of Indian soldiers on international border and for disturbing the internal peace and the unity and integrity of India by helping terrorists to infiltrate India and organizing training camps for them. 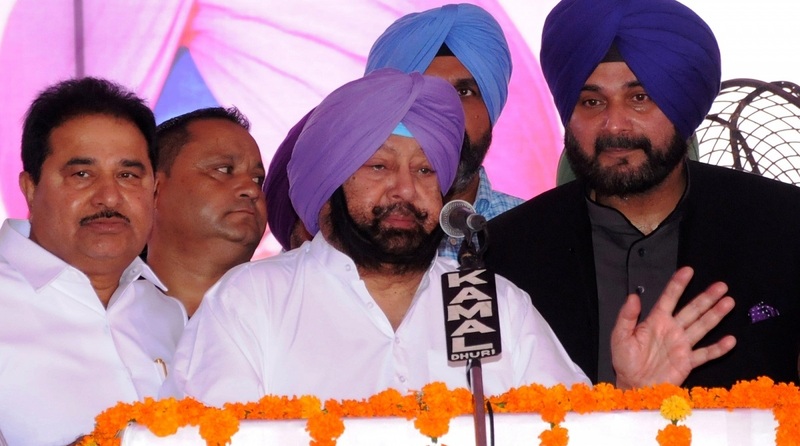 Amarinder on Sunday had said that Pakistan Army General Qamar Javed Bajwa had broken the news of opening the Kartarpur Corridor to Sidhu even before Imran Khan was sworn in as their Prime Minister and dubbed the whole affair as a bigger conspiracy hatched by Pakistan.